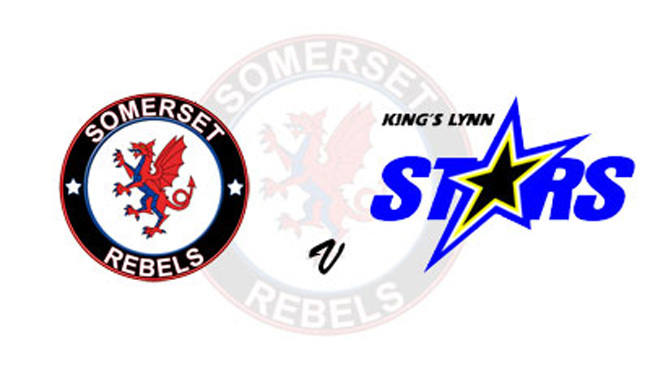 IN a rare Tuesday night speedway meeting at the Oaktree Arena, the 'Cases' Somerset Rebels will complete their regular league home fixtures this evening when the high-flying King's Lynn Stars arrive in town. "It doesn't really matter that we are in the play-offs already and they (King's Lynn) look certain to get that top spot, this is still a very important meeting to win. A good victory for us and it places a marker as we head for those play-offs. We go into this meeting on a bit of a disappointment having only picked up one point at Leicester on Monday, when, we might well have gained as there were chances there. So tonight we must put that behind us and try and derail King's Lynn who, I believe, have won their last seven matches. I know four of those have been on their home patch but they have also the best away record in the league having picked up something like 19 points on their travels. " The Rebels will be without Nico Covatti who is Glasgow-bound with his SGB Championship side Ipswich and May has drafted in Kyle Howarth as a guest. World champion Jason Doyle who suffered a strain to his back at Leicester on Monday should be fit to lead the Rebels whilst for the Stars they have injury concerns over Ty Proctor, who withdrew after one ride at Wolverhampton on Monday and will also be without Niels-Kristian Iversen, for whom Nicolai Klindt will guest.